Adequately planning for retirement necessitates predicting what out-of-pocket expenses you will need to cover once you stop collecting regular paychecks. Most post retirement costs can be accurately predicted, but some retirees get tripped up by unexpected healthcare costs. Understanding which healthcare costs will be covered by Medicare and what will have to be paid out-of-pocket can make the difference between a secure retirement and one fraught with financial woes. Don’t be lulled into a false sense of security that Medicare will cover your healthcare expenses. Current estimates for the amount of money needed to cover health care costs for a 65‐year‐old couple retiring in 2016 ranges from $245,000 to $266,600 over the course of their retirement. A recent report by HealthView Insights estimates that the average annual healthcare expenses paid by retirees is over $11,000 and will rise to nearly $16,000 per year by 2020. Even more concerning is that none of these estimates include long‐term care costs. For a number of reasons, Social Security income will not be enough to completely cover your healthcare costs. Social Security cost of living adjustments (COLAs) have averaged 2.6% over the last decade, while healthcare costs have skyrocketed by 5%. This imbalance is expected to persist for the next decade, with healthcare increases as high as 7% per year. For the majority of retirees, leaving employment means losing employer‐provided health care insurance. Medicare will cover some basic healthcare costs. Medicare Part A, which has no out-of-pocket costs, pays for hospital coverage. Supplemental coverage, which retirees must pay for, includes Part B for doctor’s services and Part D for prescription drugs. 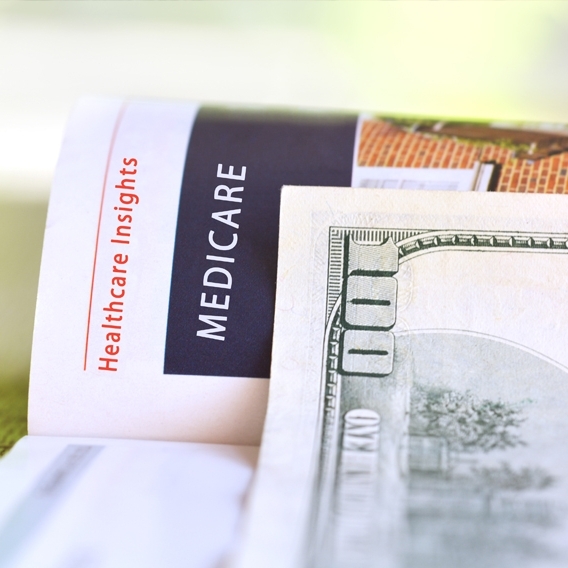 Figuring out the different deductibles, co‐pays, or other limitations with the various Medicare and Medigap plans is critical to properly planning for your future. The government’s Medicare website site (medicare.gov) provides tools that will help you compare coverage in your state. Eye exams & eye glasses - beyond simple vision checks, routine eye exams or the cost of eye glasses and contact lenses are not covered. The average cost for bifocal glasses ranges from $200 to $400 a pair. Some preventative and diagnostic services for conditions such as glaucoma and macular degeneration are covered. Dental care & dentures - Medicare does not cover routine dental care, including cleanings, fillings and tooth extractions. It also won’t pay for dentures or dental plates. The cost of a single tooth implant can range from $1,000 to $3,000. Hearing aids & exams - Medicare Part B covers diagnostic hearing exams, but doesn’t cover routine hearing exams. Hearing aids, which can run as high as $3,000 each, are also not covered. Veterans, who qualify for health benefits, can get health care and prescription drugs through the Department of Veterans Affairs. However, if you need treatment outside a VA facility, then that will have to be covered by Medicare. If you are currently employed and are eligible for a health savings account (HSA), you can make pretax contributions up to $3,350 a year. HSA funds can be invested in stocks and bonds, just like a 401(k), and used to pay for both current and future expenses. Earnings and withdrawals are federal tax free. One final note. As a part of your near-term retirement planning, when you are still covered by an employer’s health care plan, take full advantage of taking care of any dental, hearing, or vision care before you retire. Calculating retirement health costs is definitely time-consuming and confusing, but it's well worth the effort. Thorough research now can save you from financial worries during retirement.